Stephen A. White has served as a residential appraiser for Metro Appraisals since 2016. 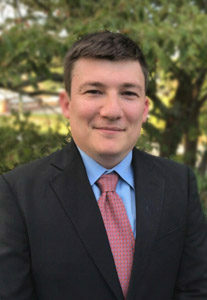 Stephen attended the University of West Georgia and graduated in 2007. Upon graduation, he explored a variety of professions throughout the country. Stephen and his wife Hannah have since returned home to live in Habersham with their 2 daughters, Roselyn and Eleanor. They are active members of Grace Calvary Episcopal Church.